Just by happenstance, a coworker and I were talking about cartoons from the 80s and 90s earlier today. Then I come across this news story. Well, now I know. You can fill in the rest of that saying for yourself. I know a good portion of you did, even without meaning to. 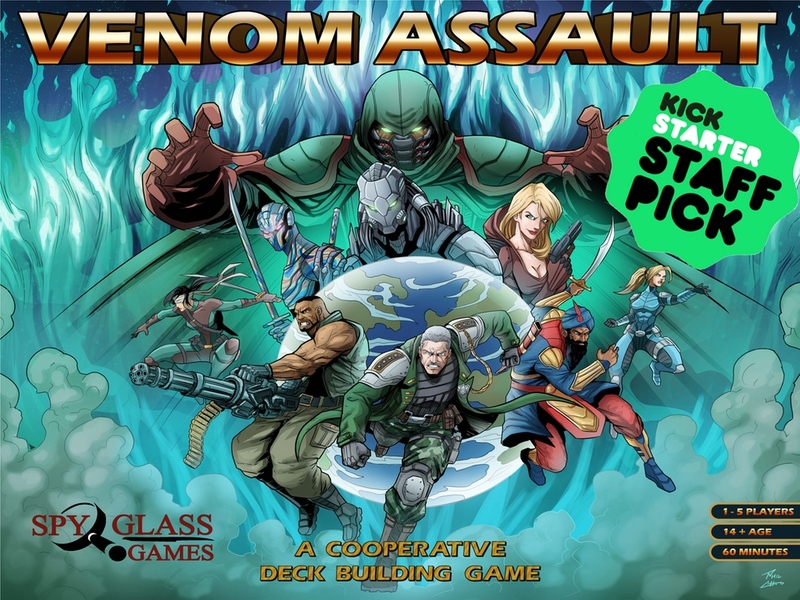 If thinking that brought back a bit of nostalgia for you, Venom Assault, by SpyGlass Games, might be right up your alley. 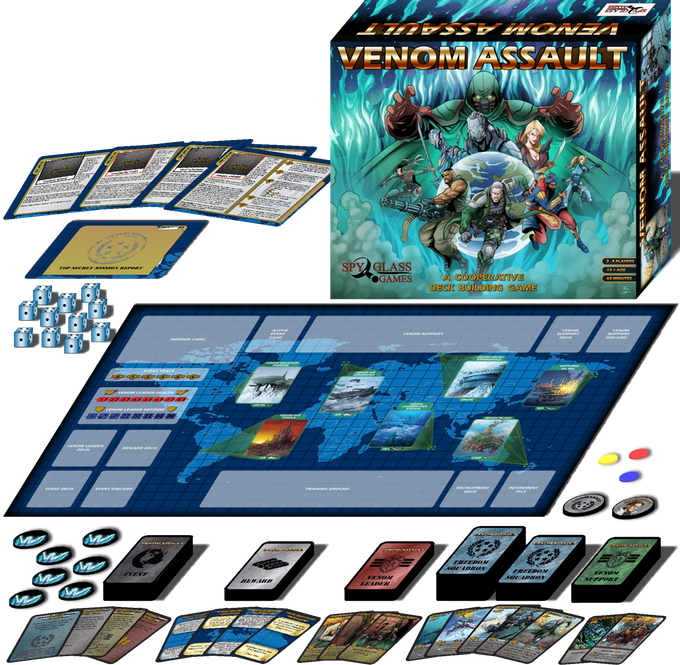 The game is a cooperative deck-building game where players take on the role of Freedom Squadron in their seemingly never-ending fight against Venom. Players must recruit the best soldiers, each with unique skills and specialties, in order to thwart various nefarious plans that Venom is always trying to accomplish. The campaign's about 1/10 funded, but there's still plenty of time on the clock, as it's set to go for another 27 days.